Are you a First Time Car Buyer? If you're shopping for your first new car, Petrie Ford will match your down payment - dollar for dollar - up to $500! It's a nice rebate to help lower your monthly payment. You can't go wrong with free money! Eligibile vehicles are brand new Fiesta and Focus models. Vehicle must be financed or leased through Ford Credit. Credit must be in good standing and have full-time employment for at least 6 months. The vehicle must be registered in the name of the First Time Buyer rebate applicant. Taxes payable before savings deducted. 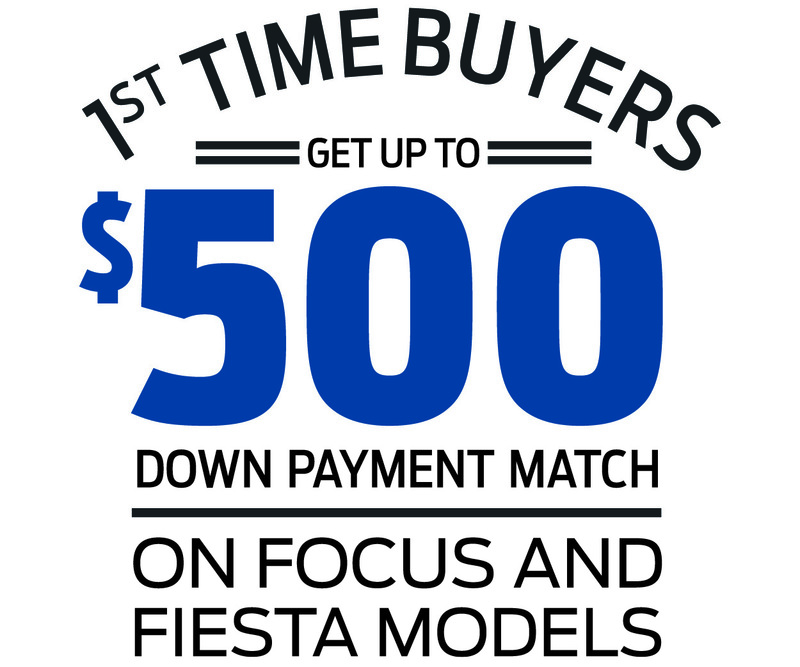 Get up to $500 Assistance when Financing a Fiesta or Focus!